How is formation lap sorted? What's the maximum speed and when do we form up 2x2? Hi everyone. Patch 2.0 is now live for Xbox. Can please everyone update their game as soon as possible. I am lead to believe that old versions are not compatible with newer versions online. If you have not yet received the new patch hen please let me know as soon as possible. Hey Webbers I don't appear on the IN list above? Hi rusty. I cannot accept your entry as you have not registered as a driver or whether you are in a team or an independent entry. Qualifying lobbies are now posted!! Please find which lobby you are in and who your host is. All sorts of problems getting the lobby to work. Lobby A went quite well after a bit of a delay in qualifying. No connection issues or dropouts (although Havana had a screen freeze), 10 started & 10 finished. Didn't see any lag to others but there were a few bits of contact between drivers... luckily nothing too major I think. Well done to both overall class winners! A hard fought race which many also used as a learning opportunity on this new game. Looking forward to the next one! I had a bit of nightmare start, I ran out of time to load my setup in the pre race screen, so I was stuck on some random setup and hard tires for the beginning of the race. The car was all over the place and I fell to the back of both classes by the end of lap 1. I quickly adjusted my pit strategy based on the situation and came in to fill up and get on the soft tires ASAP. My race went pretty well from there as I slowly made my way back into the top 5 LMP2 positions lap by lap. I had to pit again nearing the end of the race to get a splash of fuel but took much more than needed by accident. This allowed a charging Havana to close right back up in the final laps as I struggled to hang on to the podium place. A 3 car stream of GTE traffic helped to create a buffer and allowed me to hold the gap just long enough to reach the checkered flag in 3rd place. Quite happy with that rebound result! Good race guys! @micko39 wrote: I hate this game!!! Sounds like a NAT issue of some type. 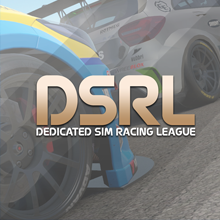 DSRL Webbers88 wrote: Qualifying lobbies are now posted!! Please find which lobby you are in and who your host is. I could not find where this was posted. Fortunately Zarf invited me to the party and I was told I was in that Lobby. But I couldn't find any info on this. Webbers, Is there anyway you can change my Username here, to my Gamertag, or do I have to create a whole new Profile ? I will quickly do it for you as im here! I had a bit of a nightmare scenario as well. I went to alter my setup for qualifying and the game locked me into the pits. It seemed to hang up on the setup saving screen. I could watch the qualifying timer waste away, but the game wouldn't budge. I had to hard restart my Xbox to make it work properly, resulting in me not posting a qualifying time. As for the race, once we added the pre-race ready screen (for loading our setups), everything went smoothly and I largely had an open track after taking an early lead. Fun, fairly technical track and definitely a fun car.